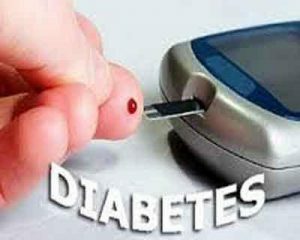 Diabetes is presently classified into three types, types 1 and 2 and gestational diabetes. Type 1 is as a result of autoimmune conditions in which insulin hormones are necessary to correct its deficiency while type 2 diabetes was associated with an imbalance of insulin need and supply and utilization within the body. Dr.Emma Ahlqvist and associates did a data-driven cluster analysis of six variables to reclassify diabetes to individualize treatment regimens and identify individuals with increased risk of complications at diagnosis.The researchers have identified a five subgroup classification for diabetes to differentiate between their risks and related complications.The findings of research appear in the Lancet Diabetes & Endocrinology. The researchers stratified patients into five subgroups with differing disease progression and risk of diabetic complications. This new substratification might eventually help to tailor and target early treatment to patients who would benefit most, thereby representing a first step towards precision medicine in diabetes.The authors say these clusters “represent two new, severe forms of diabetes previously masked within type 2 diabetes.” They add, “It would be reasonable to target individuals in these clusters with intensified treatment to prevent diabetic complications.” The proposed classification presents some advantages but more research is needed to test whether it s strong enough to be used in clinical practice. So totally it will be six subgroups if u include type-1 (those onset before age 18)..good good development..
Good addition. As molecular medicine evolves more and more, many classifications will be revised.